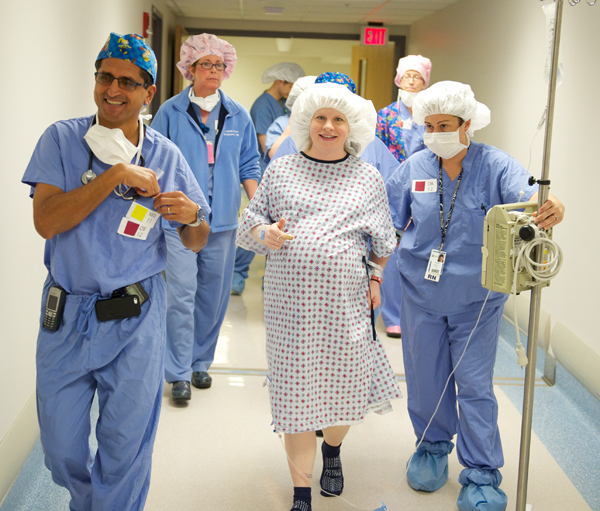 Flanked by her medical team, Angela Daniell, the mother of the first baby delivered at our Akron campus, heads into the OR for a planned C-section. We broke ground on May 30, and as you can see from the giant cranes near Locust and Exchange streets, construction is now well underway for the new ER, NICU, outpatient surgical suites and other amenities that will be housed in our new building. Now its time to announce yet another milestone in Akron Children’s history. 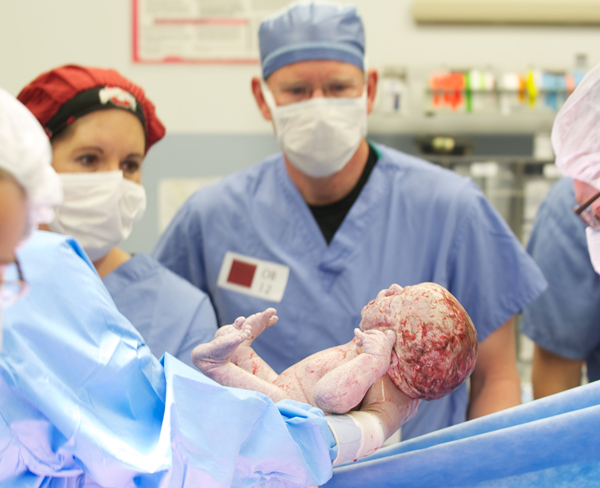 High-risk delivery services were identified as a community need by our maternal fetal medicine team in their efforts to provide the best care possible for at-risk newborns. “Our neonatal transport team is one of the best in the country, but we estimate that each year we have about 100 deliveries where there is an especially high risk in transporting a newborn to our hospital,” Considine said. Examples include babies identified with congenital heart defects, neural tube defects, diaphragmatic hernias, abnormalities which may affect the airway, and other conditions that require the baby to have immediate access to pediatric specialists upon birth. Another benefit is that the labor, delivery and recovery rooms would keep mothers close to their newborns as they would just be an elevator ride away from our new NICU. 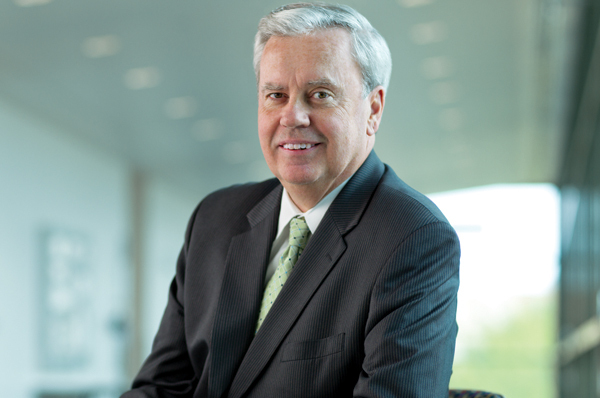 “This is a perfect extension of our commitment to family-centered care,” Considine said. At this time, the plan does not include routine deliveries, or deliveries involving high-risk mothers, which will continue to occur at our partner hospitals in Akron and throughout our service area. The hospital was involved in preliminary discussions with its Akron partners about moving routine deliveries here earlier this year, but those discussions did not result in a model that all agreed upon. As with other aspects of the building, the building planning team will organize kaizens for these new operating and labor/delivery/recovery rooms. Drs. Stephen Crane and Melissa Mancuso and their teams in maternal fetal medicine and the fetal treatment center will work closely with our center for operations excellence team, architects, engineers and others to design this space.